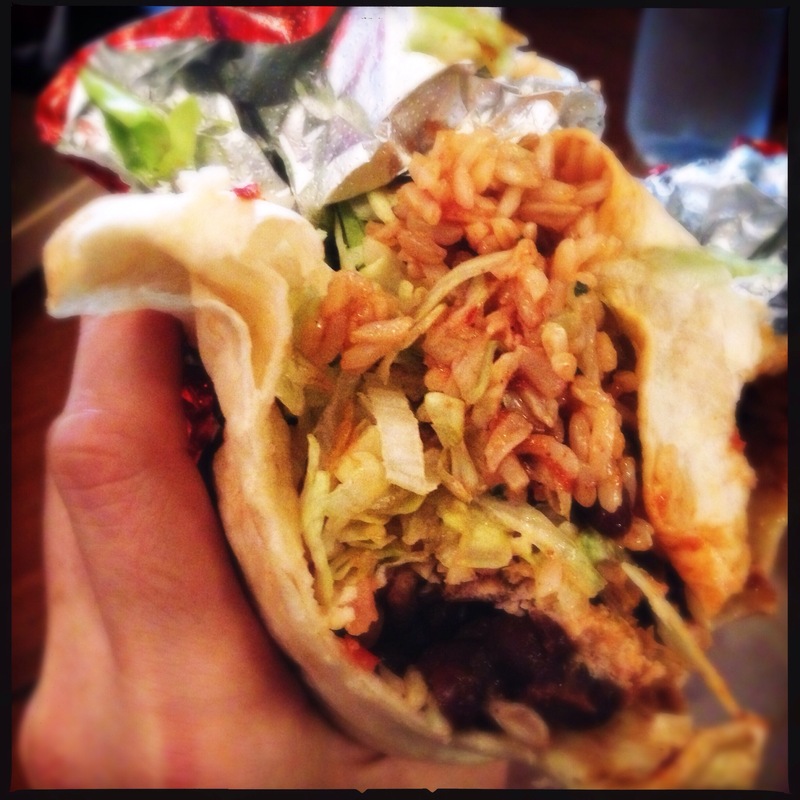 HERACLES reckons that the Greeks invented the burrito. His logic is simple: the burrito is a copycat of the gyros (yeeros or yiros depending where you are from). I tried to reason with him explaining that Cortes was Spanish and it was unlikely any Spaniard or Myan or Aztec would have been to Greece to deliberately rip off the Gyros and rename it a burrito (and more likely it was the Greeks that copied the Turkish doner kebab). Heracles was unconvinced and my last comment was rewarded with a psychotic glare – he was adamant that some Spaniard or Mexican robbed the Greeks of their national dish (and I can’t believe that this man is a product of a civilization that gave us architecture, mathematics, politics and philosophy!). It was obvious that something went wrong somewhere with Heracles (it might have been the shock seeing his beloved Bulldogs losing the 2014 NRL Grand Final to the mighty Rabbitohs). I wanted to give Heracles another logical explanation: that for centuries people have stuffed and encased food into things (think ravioli, dumplings, dim sims, pies and Chiko Rolls) and that the concept of the Gyros was no different to a soft flour tortilla being used to wrap meat and rice up (and that burrito meant little donkey and for him to stop acting like one), but I didn’t want to push the point because the furious Heracles was holding a 1kg burrito in his hand and I was afraid he would go all Spartan on me. Mad Mex is an Australian chain of Mexican fast food joints and every year it holds the 1kg Big Burrito Challenge ($22). There is one rule: finish the burrito and get a Mexican lucha libre wrestling mask (handy for fancy dress parties, bank robberies or if you want to take on Rey Mysterio). The Big Burrito Challenge is held every May to honour Cinco de Mayo (5 May) , the celebrated day in Mexican history when the Mexican Army triumphed against all odds to defeat an invading French Army at Puebla. Heracles wanted a mask. He completed the challenge in 2014 and wanted another (possibly so as not to be identified by Police attending a Bulldogs match as there was one in the team’s blue and white colours). 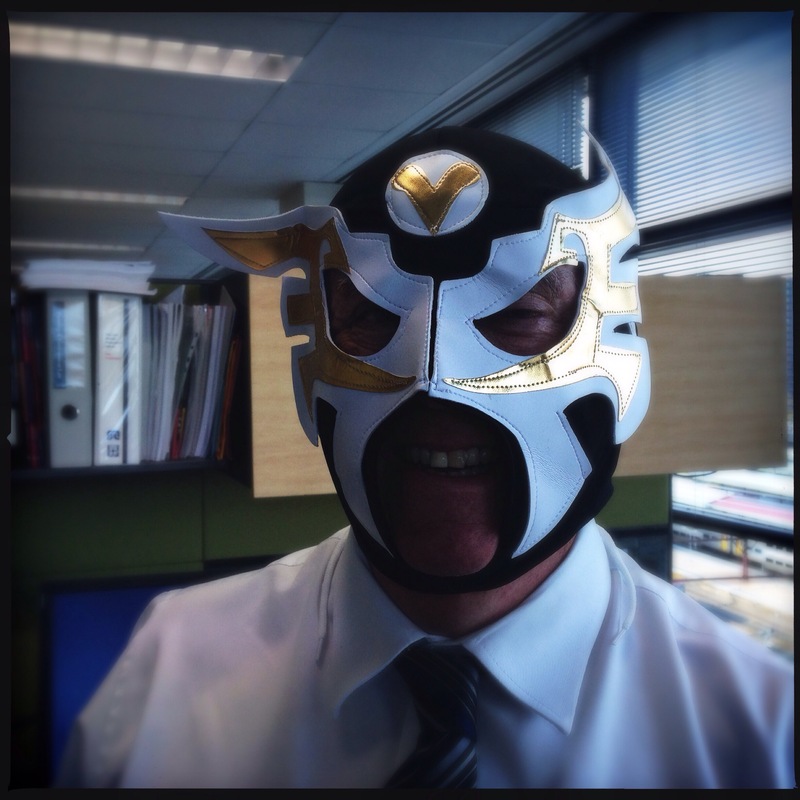 Our colleague – the Silver Fox – miffed about what all the fuss was about a Mexican wrestlers mask and big burritos, tagged along. Both Heracles and I were concerned about Fox’s presence as he was the most senior in age to us and we both believed that the defibrillator that was on our floor was put in especially to cater for worldly wise colleagues such as Silver Fox. So what’s could possibly be in a 1kg Mad Mex burrito? It is apparently double the size of one of Mad Mex’s regular large burritos. You can chose from slow-roasted pork or beef, chicken or vegetarian (though I reckon having the vegetarian option would be cheating). Your chosen meat is put on two large overlapping soft tortillas along with rice, black beans your choice or sauce (mild, medium or hot) , cheese, sour cream, lettuce and diced tomatoes and other chosen condiments. I also asked for some jalapenos and went for the mild sauce – I was the only to do so) . I thought about having the hotter sauce but as it was habanero based the last thing I wanted was to be defeated by the fruity pain of habanero. Both Fox and Heracles had the chicken option with mild sauce. 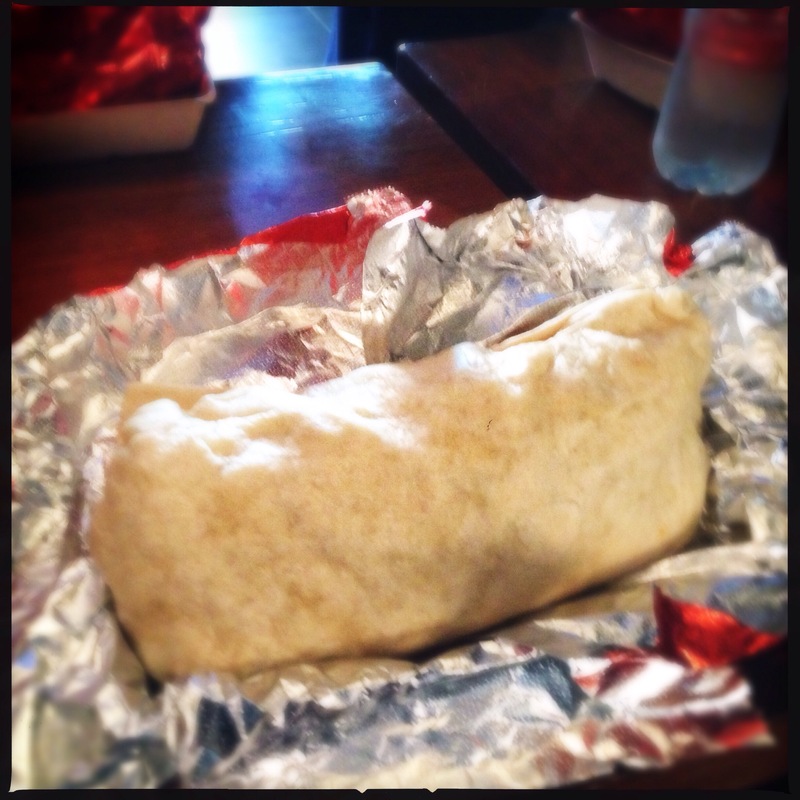 The burrito is weighty – you can feel the 1kg and it is an unnatural, even intimidating feeling. Eating it can be messy. The trick is to keep it half wrapped in its foil casing – if you unwrap all of it the sheer weight of the buritto’s contents will just force the tortilla to unravel and the contents spill out and you will need to eat it with a fork. It wasn’t a bad feed – the shredded pork had a nice and mild smoky flavour to it and the medium sauce was spicy enough to add some Mexican-style enhancement. But because of the size of the burrito you don’t get the contents intertwining as the salad, meat, rice and beans are in certain sections of the tortilla (e.g. in one bite you may get a taste of the meat, in the next just some sour cream and lettuce). Mad Mex has three chili sauces sitting on the table as well – Tappito hot sauce, a chipotle and a jalapeno – and for me these were a welcomed addition to the burrito. Now to the Big Burrito Challenge. Heracles, psyched up about stolen gyros and the Elgin Marbles, went for it – but not quietly. During the whole 14 minutes it took him to devour his monster of a stuffed tortilla he whinged and whined to Fox and I how he wasn’t going to pull it off, that he was full and bursting, that he would be spending the next two hours in a toilet cubicle, that he was going to be defeated, etc, etc. Because of his inability to hold such weight in his hands, Heracles was forced to use a fork to clean up the contents of his burst buritto but his 14 minutes did mean he finished first. It took me 14 minutes and 25 seconds to cleanly devour my burrito (and won both praise and disbelief from my colleagues that not only I didn’t have a burst burrito but I also met the challenge of jalapenos and the added extra hot sauce that I liberally applied after every second bite). Fox came in at a respectable 14 minutes and 45 seconds with no defibrillator required. So proud was Fox of his feat he spent the whole day proudly wearing his winged lucha libre mask around the office (and thankfully there was no “HR Event” and no restraining order required). The verdict: Mad Mex’s Big Burrito Challenge is scary, heart-stopping, cholesterol-plugging pure gluttonary. We will be back for the 2016 challenge if we survive through the night. What: Mad Mex Fresh Mexican Grill – 46 locations through Australia (except TAS, SA and NT). This entry was posted in Casual dining, Mexican, Sydney and tagged 1kg Burrito, Australia, Big Burrito Challenge, Mad Mex, Mexican, New South Wales, Sydney. Bookmark the permalink. For a more authentic and refined mexican experience I highly recommend El Loco (www.elloco.com.au/) in the Excelsior Hotel in Foveaux Street. Its much better tasting than it looks. Lo me gusto mucho ! So proud of the Fox! I only wish I could have been in office to see him in all of gimp mask glory! !